Airbus Helicopters Philippines Inc. is in talks with the Armed Forces of the Philippines for the latter's possible purchase of military choppers. 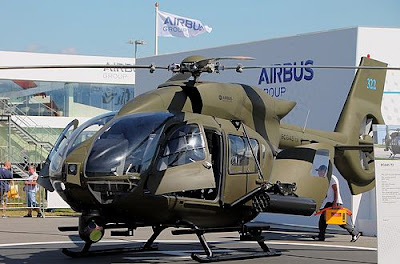 "There are ongoing talks between Airbus and the Philippine military for the purchase of helicopters," managing director Lionel de Maupeou told reporters in Pasay City on Wednesday. Senior governmental sales manager Yves Poesy added that the company is discussing the potential chopper purchase deal with a technical working group from the armed forces. "We have been doing some general presentations. Last October, we did a presentation of some of our helicopters and they're very interested [in] some of [them]," Poesy said. "Nothing is signed up for now, but we have some hope," he added. 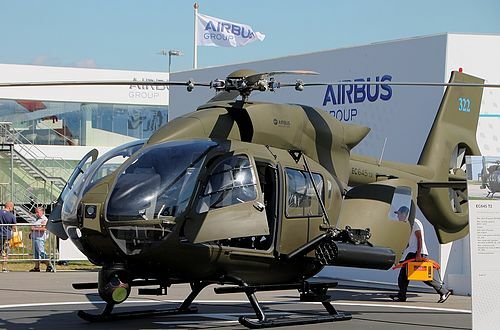 The Airbus executives said that the country's military market is promising, and said they might push the H145M military helicopter as the ideal helicopter platform to meet Philippine Air Force, Navy, and Coast Guard requirements. Maupoeou said that the H145M was preferred by the German special forces, the Thai navy, the Serbian army and US police forces. Poesy added that Airbus Helicopters is open to give discounts to the Philippine military. Helicopters are essentials to Philippines. Their Huey's are given so much work in logistical jobs with their military operation. Additional birds like this is good. needs more drug lords to fund this.